Despite headline-grabbing airline orders, small aircraft continued to attract attention at the Farnborough Airshow 2012. Liam Stoker reports on the small aircraft, UAVs and emerging technology demonstrated at the industry event. 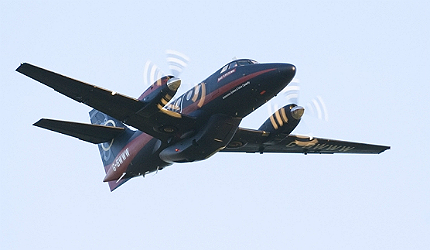 BAE’s Jetstream aircraft made full use of ASTRAEA programme technologies. Image courtesy of BAE Systems. 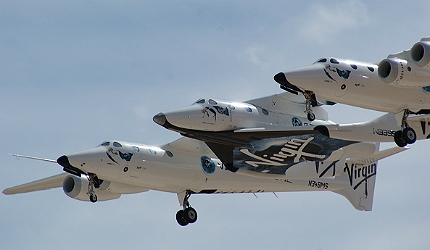 Virgin Galactic’s SpaceShipTwo being carried by WhiteKnightTwo. Image courtesy of Jeff Foust. Sky-Watch’s Huginn X1 can be deployed in minutes. Image courtesy of Sky-Watch. BAE’s work on the Taranis UCAV is likely to contribute significantly towards any Anglo-French collaboration. Image courtesy of BAE Systems. Although their larger counterparts might cast a shadow over them, small aircraft and UAVs have proven themselves to have a place at the Farnborough Airshow. 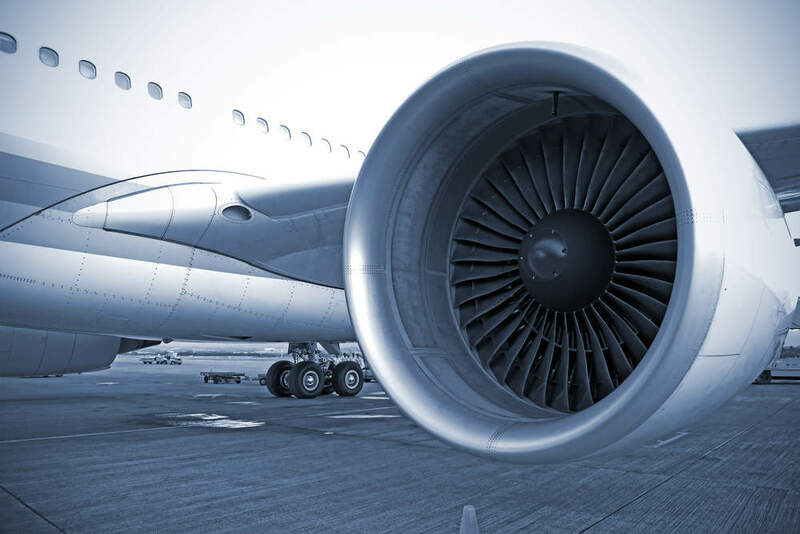 Headlines will undoubtedly be dominated by airlines at such an event, but technology demonstrated at Farnborough leaves little doubt that small aircraft play a major role in the aerospace sector. In some cases, the technologies demonstrated on smaller aircraft have the potential to make significant impacts on larger aircraft in the future. The ASTRAEA programme, comprising of seven leading aerospace and technology manufacturers, promises to do just that. One of the more intriguing developments to be unveiled at the show was that of the Autonomous Systems Technology Related Airborne Evaluation and Assessment (ASTRAEA) programme, a UK industry-led programme that has been established to further the development of technologies, systems, facilities, procedures and regulations relating to the operation of unmanned aerial vehicles within civil airspace. "Technology demonstrated at Farnborough leaves little doubt that small aircraft play a major role in the aerospace sector." One of the main directives of the programme, which is led by a consortium comprising of AOS, BAE Systems, Cassidian, Cobham, QinetiQ, Rolls-Royce and Thales, has been to enable unmanned flight in larger aircraft. BAE used Farnborough as a platform to showcase its latest project; a modified Jetstream 31 aircraft, retrofitted with technologies developed under the programme. The system uses cameras located around the aircraft to enable it to perform emergency landings and avoid weather conditions that may influence the aircraft’s performance. 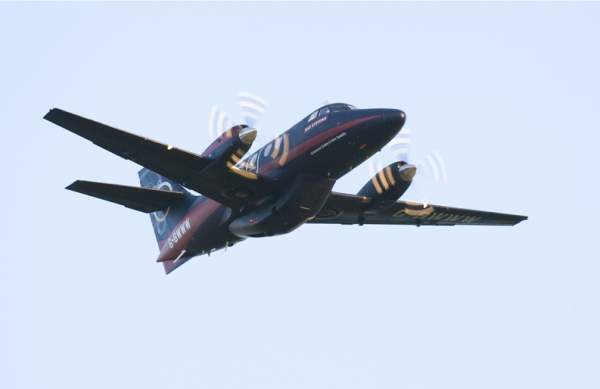 The Sense and Avoid technology developed under the ASTRAEA programme also enables the aircraft to locate, identify and avoid other aircraft in the area, and BAE hopes that when the technology matures, it could be used in search and rescue missions, as well as on freight aircraft. Lambert Dopping-Hopenstal, ASTRAEA programme director, speaking at a press briefing at the event, said: "I think it is the dawn of a new era in aviation. It’s opening up a new market, in general it’s opening up for us to be able to do things that we haven’t been able to do before." Dopping-Hopenstal did, however, move to allay fears for the future prospects of international pilots, stating: "We’re not talking about unmanned passenger aircraft. You’re not going to be going on your holidays without a pilot." BAE now hope to advance the programme by conducting a series of world test flights with the system. Following the lead of UK politicians and aerospace dignitaries, Sir Richard Branson descended upon Farnborough on the fourth day of the airshow to unveil news relating to the eagerly anticipated launch of Virgin Galactic operations. "Denmark-based aerospace company Sky-Watch was quick to demonstrate its Huginn X1 quadrotor UAV." 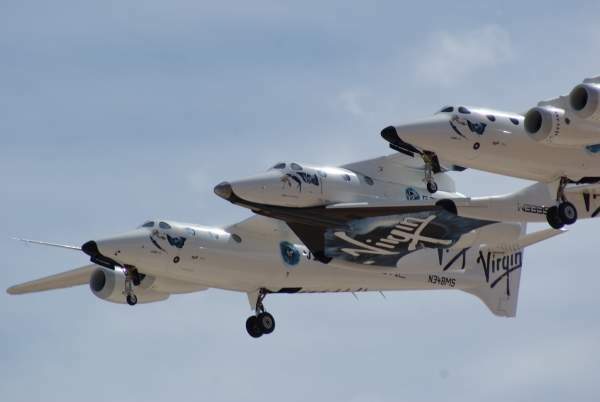 Branson used the show to announce that, prior to a planned launch of operations in December 2013, the company had begun accepting deposits from prospective space tourists, with actor Ashton Kutcher vying to be a passenger on the inaugural suborbital flight. Branson also revealed that, to date, 529 people had placed down a deposit for such a flight, exceeding the total number of people that have visited space in human history. Branson also took the opportunity to unveil plans to construct a low-cost satellite launch vehicle, dubbed LauncherOne, enabling a wider array of institutions to launch satellites into orbit. The two-stage rocket will be launched from the WhiteKnightTwo mothership and be capable of carrying a payload of up to 500lbs at a cost of less than $10m, substantially cheaper than current launch costs. Commenting on the initiative, Branson said: "LauncherOne is bringing the price of satellite launch into the realm of affordability for innovators everywhere, from start-ups and schools to established companies and national space agencies. It will be critical new tool for the global research community, enabling us all to learn about our home planet more quickly and affordably." Four companies have already made commitments to the programme, with the Telegraph reporting that asteroid mining company Planetary Resources is among those who have placed deposits. 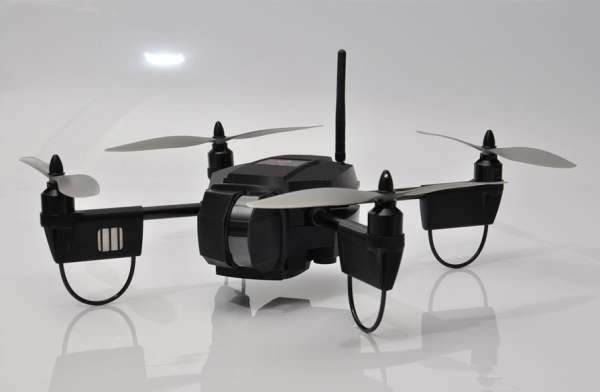 On a much smaller and humbler scale when compared to SpaceShipTwo, Denmark-based aerospace company Sky-Watch was quick to demonstrate its Huginn X1 quadrotor UAV. 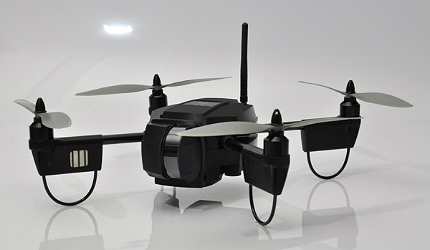 Weighing in at just 1.4kg, the UAV possesses more technology than you would think for a small, lightweight machine. The X1’s flight control system keeps the vehicle stable in sustained winds of up to 23 knots, while the sensor suite installed on the system includes sonar technology to avoid collisions and assist in safe take off and landing. Capable of performing automatic take-offs and landings, the Huginn X1 also includes a high precision Global Positioning System. The small UAV can be transported in the back of a car and deployed in less than a minute, with Sky-Watch pitching the vehicle as ideal for use in both law enforcement and defence operations. Sky-Watch expects to receive safety certification for the X1 within the next few months. 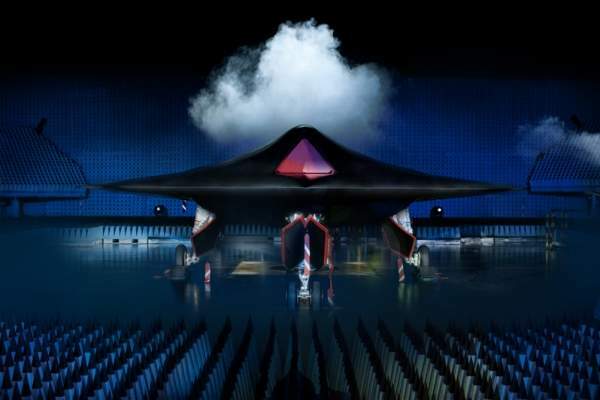 One eagerly anticipated announcement that could not be arranged in time to take place at Farnborough 2012 was that of concrete plans for an Anglo-French UCAV partnership. "BAE used Farnborough as a platform to showcase its latest project; a modified Jetstream 31 aircraft." HIS Jane’s reported that an announcement had been scheduled to be made on 10 July, but administrative delays related to Francois Hollande’s election victory forced a postponement. Work between BAE Systems, the UK Ministry of Defence, Dassault Aviation and the French DGA has been ongoing, and BAE had been confident of announcing a partnership at the show. 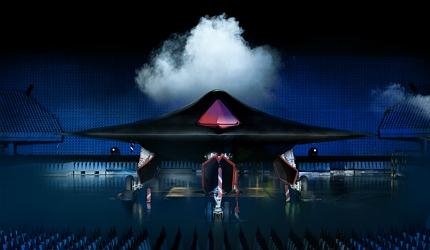 The work is likely to see knowledge and expertise related to BAE’s Taranis and Dassault’s Neuron UCAVs combined, with a Future Combat Air System forming an integral element of Anglo-French collaboration on military projects, which has become a post-austerity priority.